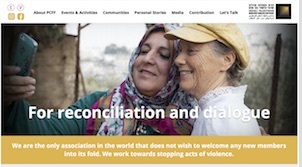 This site was recently launched in an effort to feature news and stories about organizations and initiatives that will promote reconciliation, inclusive collaboration, and real peace to Palestine and Israel. We hope this site can offer resources to effectively equip peacemakers and those who support them. The Palestine Israel News Facebook Page is an effort to aggregate several streams of narratives into one website: Palestinian, Israeli, Anti-Zionist Orthodox Jews, and those who are advocating Palestinian and Israeli unity and cooperation. Moderate and extreme views from all sides are gathered into one location as an alternative to the predominantly biased news sources that are available.